Thinking of Buffalo and the freezing weather, where does the needed warmth come from? 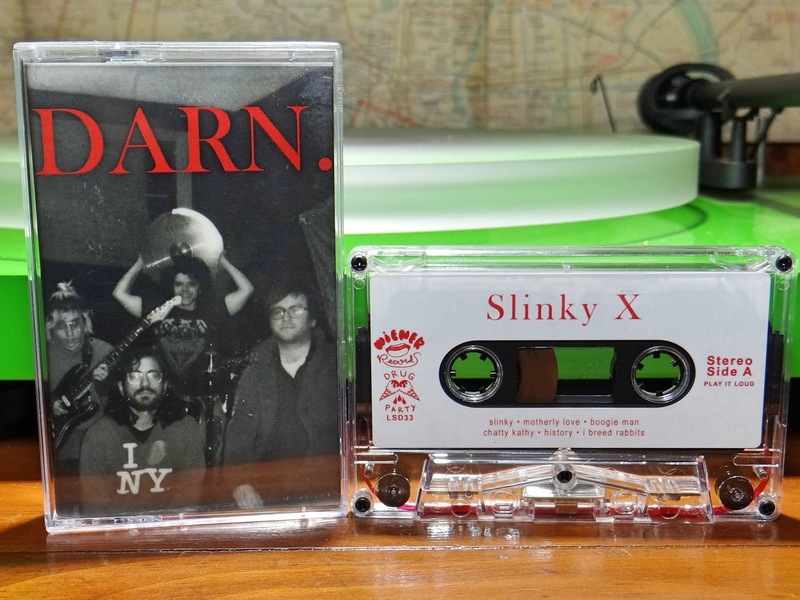 Maybe Slinky X are the sounds to get the blood moving. 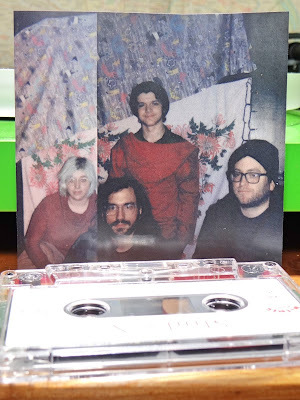 A four band member group with roots in punk and rock, skewed with a penchant for pop vocals. The title of this six track cassette is Darn. A summer release for this year, with well balanced components. Crisp harmonizing vocals, telling stories of the interplay of people and life. Guitar, bass and drums filled with energy and a generous pinch of rawness. Lines can be drawn back to compare many sounds from the past, but no need for this action. We are pretty much at the point where all music is a sprout from older growth. The concerns now are is the new growth healthy and is there love from it or for it? With four people playing tightly constructed music, counterpoised for all parts to shine, the answer for Slinky X is yes. Available in cassette from the Drug Party label or Wiener Records. One of the band members from Slinky X also plays in Radiation Risks connecting to another post done this year for the Buffalo scene. Thanks for keeping Lost in a Sea of Sound connected. The boundary of two air masses with different densities has moved past. Now, wind moves small patches of remaining clouds through the sky. The almost full moon, has struggled over the past few days to radiate the earth with reflected light. The last few hours has introduced a complete reversal, dry and crisp air conducting a night time glow most brilliantly vibrant. Like droning experimental electronic music, there is infinite beauty in a moonlit night time overcast sky. But when this clears, the air turning sharp and cold, resolution stretching vast distances, Entrance to the Next is impeccably germane. 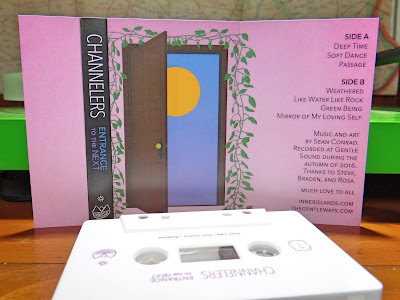 Lost in a Sea of Sound has been a Channelers listener and admirer since the first composition described, They are Cloaked in Stars and Rivers in April of 2015. 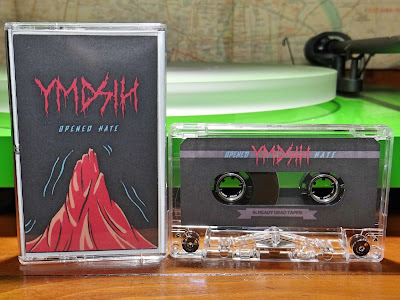 Each cassette taking on a different natural hue. With this newest addition, seven lengthy tracks are filled with a preponderance of clarity and direction. Notes laid out like stone steps rising beyond sight on a worn mountain path. The consciousness follows this passage, thoughts sparked and then fueled by the crystalline resonance. Entrance to the Next is titled with great relevance to the sounds within. A sonic gateway opening from the indelicate world to ethereal space. 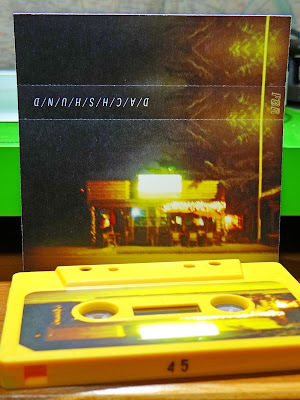 Released on Oakland, California's Inner Islands label in late October of this year. 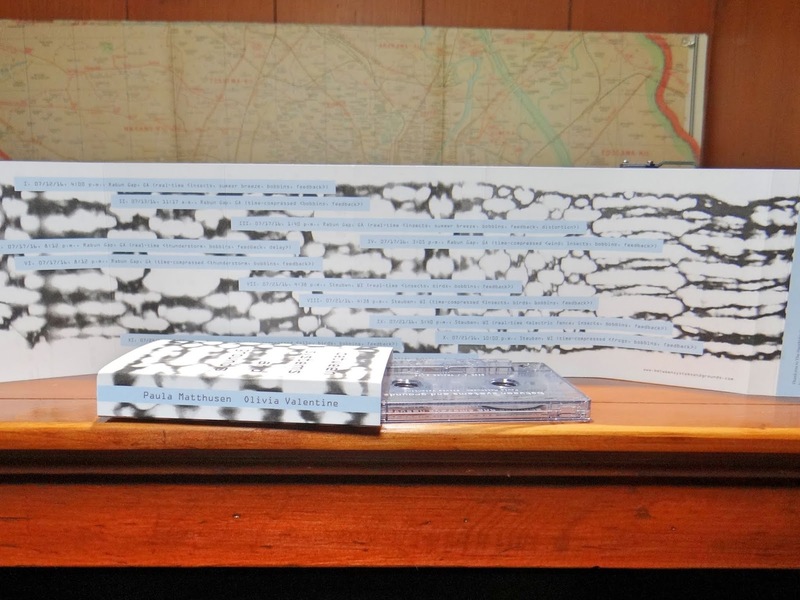 A very limited edition of seventy seven, with many copies sold already. Fortunately there are copies currently available and Inner Islands has a winter promotion happening now as well. Don't miss out, Entrance to the Next is pure sonic beauty that will be gone in physical form very soon. Night arrives slowly. Colors are hung in the sky, trapped briefly by dust particles and obtuse angles. Gathering resonance from moments like this majestic spectacle, Lung Cycles returns with a full length, indescribable radiant sounds echoing from times crevasses. Notes sustained like long streaks of burning amber swaths through the atmosphere. Lung Cycles seems to channel these fleeting moments, when strings gently lull the heart and voice causes thoughts to drift. 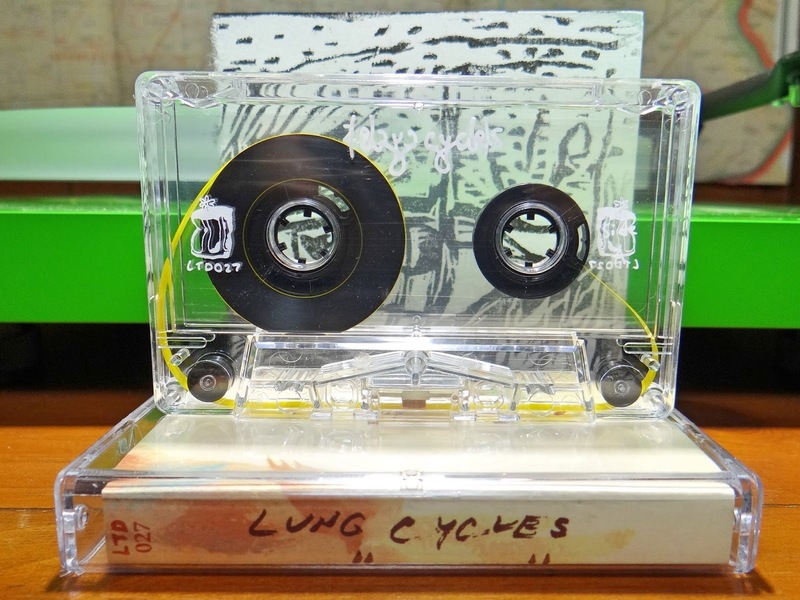 Only five tracks on this Lung Cycles solo outing. The formula branches from previous recordings, with a push towards adding lyrics and softly sung vocals. 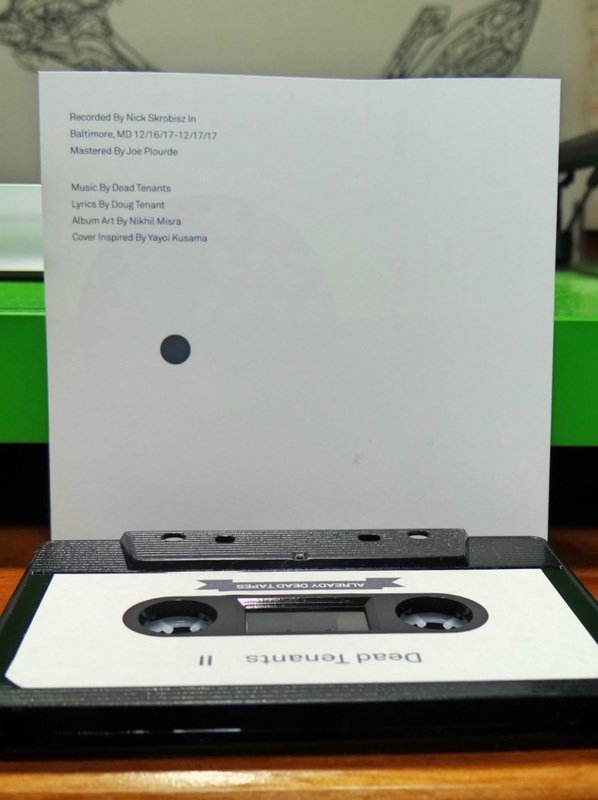 The second track titled "Hottest Day of the Year So Far" a gorgeously patient guitar melody, has resonated on previous recordings with the 8pm version, 6am version and now the 4pm version. Another track titled "Follow Me Up the Stairs" has an earlier version on a previous tape less the vocals. Using the depths of loved melodies and expounding on them, makes stable sonic ground. In fact so firm, these compositions blur in presentation, sounding more like a very private event played for a small room barely filled with listeners. There is one track titled "Cammal" that plays like a fulcrum in this mix. The shortest in length, but still long, filled with simplicity and clarity, notching in without a push towards any particular spectrum of feelings. 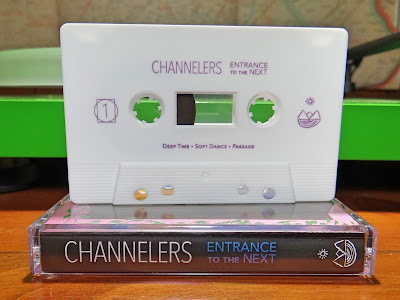 A needed weigh point in this very introspective collection of melodies. 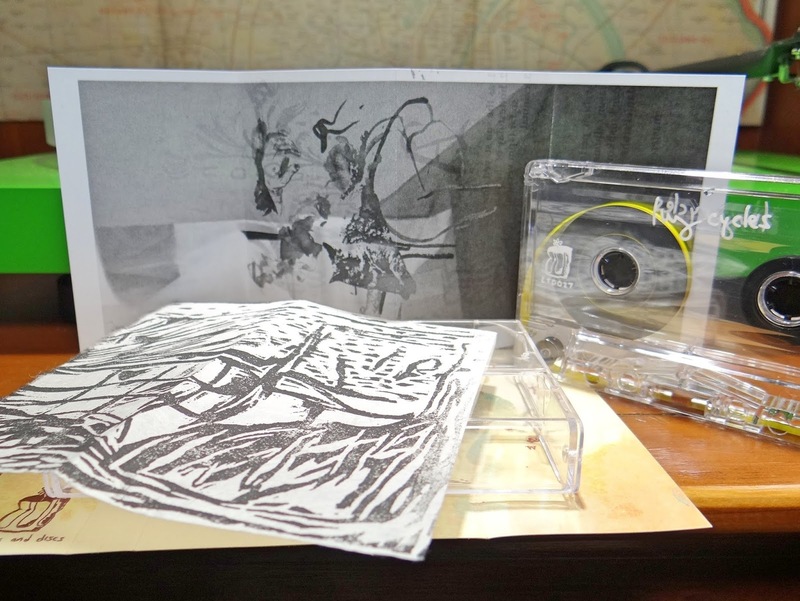 Released on Lily Tapes & Discs in November in an edition of one hundred. Amazing packaging and artwork on this tape with full color fold out, hand printed Sekishu paper, and folded insert containing more artwork and track listings. Jeremy Ferris who also worked on some backing guitar tracks for this album, did the design. Hand numbered with copies still available. 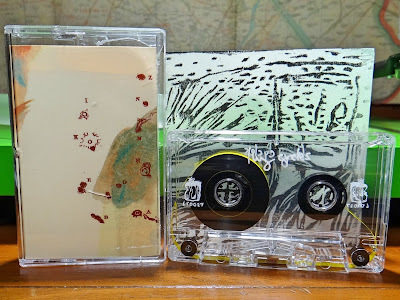 Everything on Lily Tapes & Discs seems to sell out in a patiently rhythmic flow. Non stop intelligence from pen to vocal delivery. Sounds dropping like overstuffed hawks in a field of micees. Yanking consciousnesses from the daily and turning the number combination to 844-65, translated THINK. Impossible to go from start to finish on Confidence is Everything III and not wonder. Poetry from history, nature, pop culture, sports... Ullnevano and Illien Rosewell blur information and viewpoints with great beats and melodies. 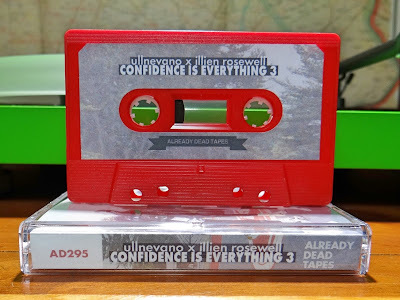 Confidence is Everything III is stated to be the third and final installment of this series. 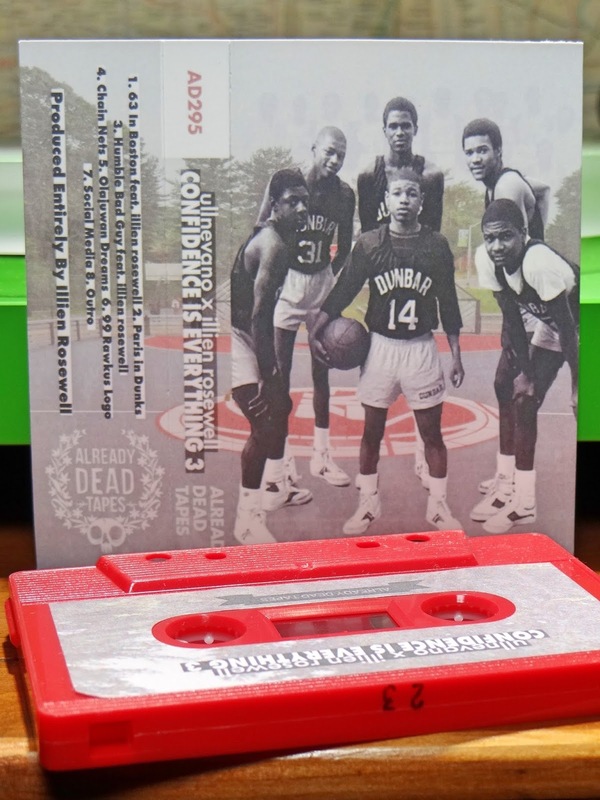 The first cassette was delivered by Already Dead Tapes and Records back in October of 2015, this one is sold out. The second of the series II, came out close to exactly two years ago on the Illinois label In The Lake Records and is still available. 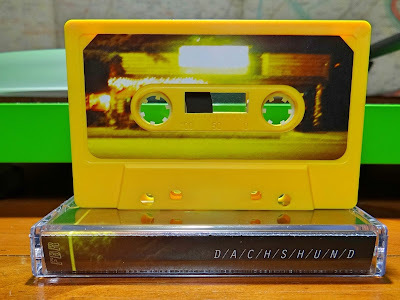 Both Ullnevano and Illien Rosewell have 2018 releases on In The Lake Records, ShamGod (Ullnevano & Manhe) and Behold (Illien Rosewell). 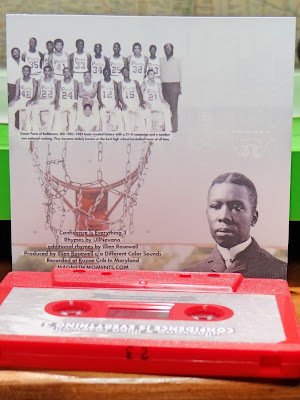 With references to Hurricane Harvey, Hakeem Olajuwon, Issac Newton, Uncle Fester, Michael Jordan, Tony Hawk, Instagram... the tangle of topics surly can cause a rhyming charlie horse. In order to amalgamate this newspaper on microfilm of information, there is an underlying confidence on all eight tracks. 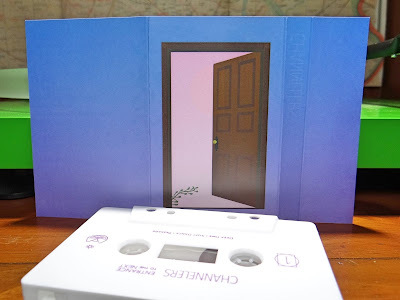 Refreshing to hear an entire album based on grasp and insight of self and surroundings. 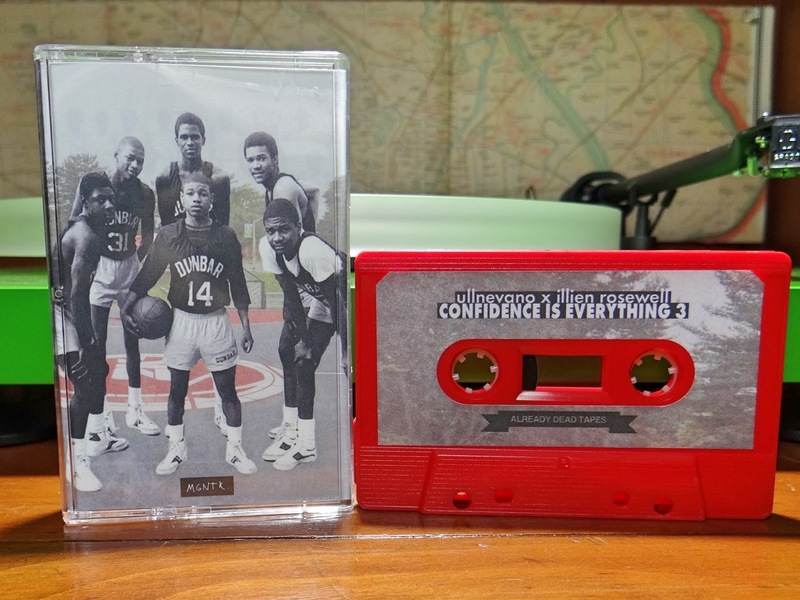 Confidence is Everything III is a continuation of Knowledge Reigning Supreme in the boom bap inflection. 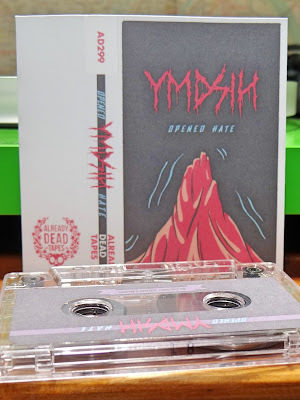 Released on Already Dead Tapes and Records in a limited edition of sixty. 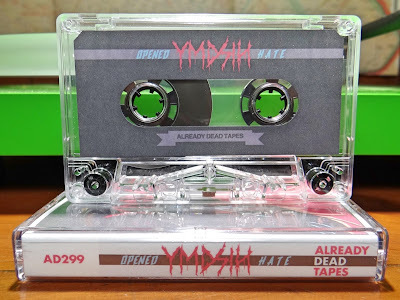 Copies are available from the Already Dead's website. Ullnevano and Illien Rosewell are nice, be sure to pickup this cassette. Outside the construct of known harmony resides an infinite spectrum of dazzling energy. With the wax and wain of this cyclic source, a warbling hum permeates space. This vibrancy exists and maintains itself without help or hindrance of the sentient world. 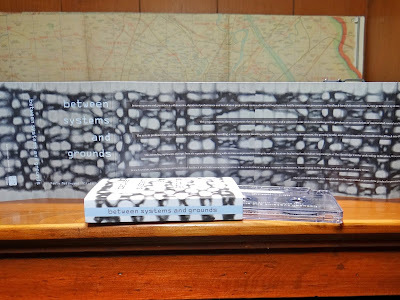 Like the advent of snow fall, a meteor shower, heat radiating from a scorched surface, ground water eventually causing stalactites to form, an on, Paula Matthusen and Olivia Valentine hold the divining rod for sonic fluidity from these omnipresent sources. 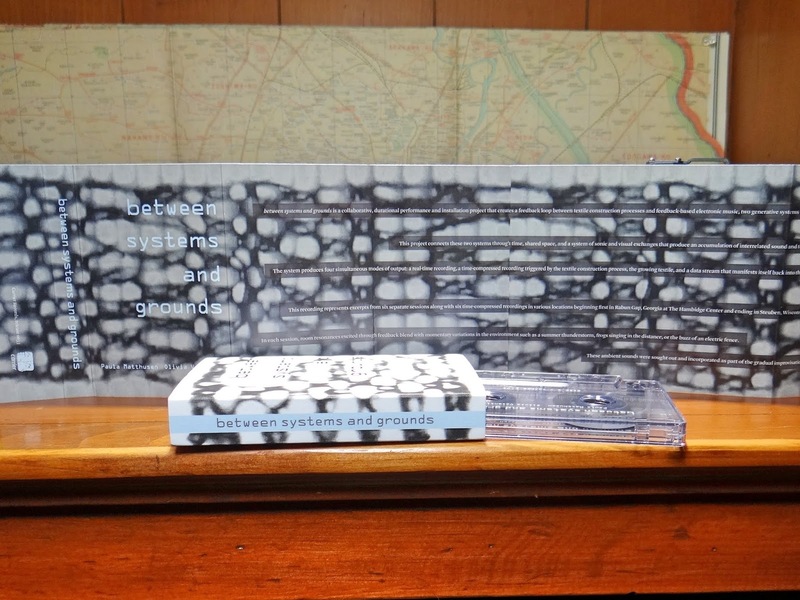 Strength of the natural world blurring it's might through machines, recording devices and attuned consciousnesses. 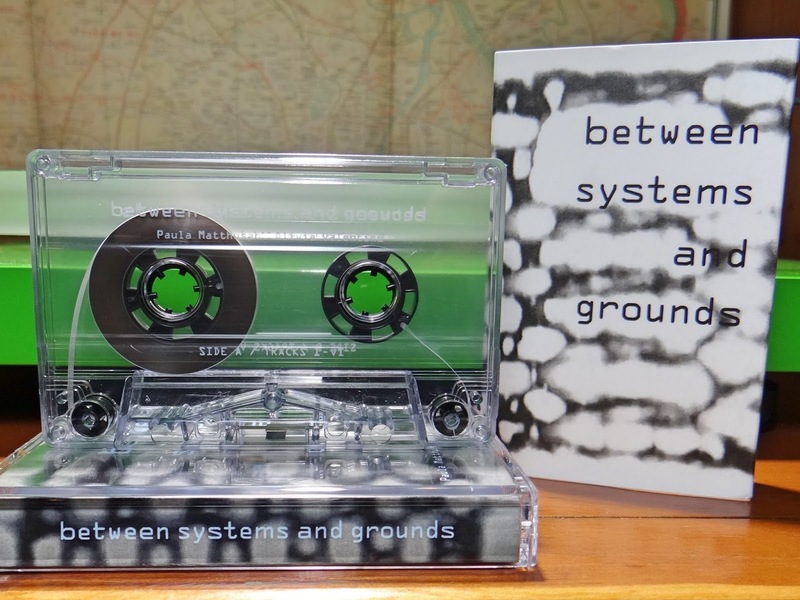 Between Systems and Grounds is a composition of great details. Each track, twelve in all, is documented in track title with date, time of day and collection of sounds comprising it's origin. A systematic approach helping give value to these micro compositions and this is needed. 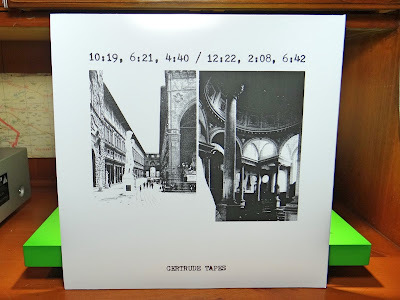 Ambiance, electronics, field recordings mixed with man made devices and methods, all very quickly reaching the threshold of what most consider distinguishable. Possibly these methods of nomenclature are like real time coordinates, allowing listeners hand holds to descend farther into the menagerie. Paula Matthusen and Olivia Valentine have harnessed elegance from astray contents. Between Systems and Grounds is filled with deep resonating beauty. Released on Carrier Records at the very end of November. This is a limited edition cassette with copies currently available. 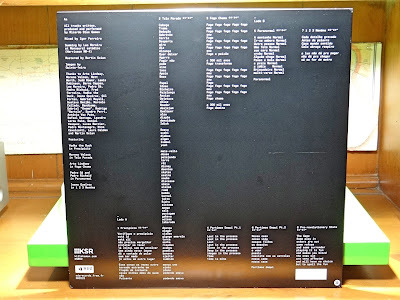 Housed in an professionally printed outer sleeve and opening to liner notes folding out at least six times. The combination of label, artists and sound making a late appearance for magnificent recordings for 2018. 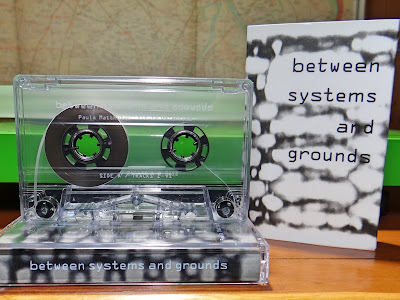 Be sure to check out the Between Systems and Grounds site for information on the process of making these sonic landscapes. Describing live music always seems out of place, especially when the event is quiet and intimate. There will always be a disconnect for the listener only privy to the recording. Fortunately these sounds were chronicled, and for those not attending, their absence might bring an alternate subjectivity when experiencing the event on their own accord. 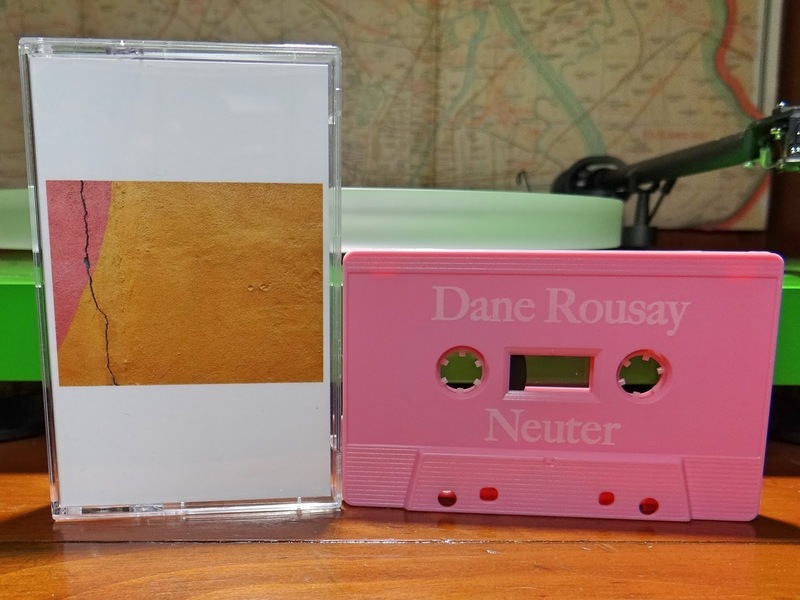 On this pair recordings by Dachshund, there is a feel of soothing felicity. Like watching a distant storm form and move in an amorphous direction. Meditative qualities of this natural event are pushed away. Wind and lightning draw reach in your direction. The droning vibrancy mutating into fierce claws. Dachshund has this similarity. A saxophone's soft breeze accompanied by percussion in the form of precipitation. Sometimes gentle, then powerful, always slightly unpredictable, this sonic gust has many facets. This is not a hurricane or tornado though, just an afternoon storm. Dachshund has excellent boundaries and never dislodges the listener from their resting place. The combination of drums and sax held on canvas by droning synthesizer is mesmerizing. Great patience and timing, with valid chaos held in hand. As these sonic currents move into audible range and energize those who listen, sounds precede on, leaving consciousnesses refreshed. Peter Webb and John Gregg are Dachshund. North Georgia at its best with both artists and the Atlanta label Fall Break Records working together. Very limited with only thirty copies made. Impressive knowing both pieces were recorded on an iPhone. John Gregg - where are you? The elements of sound in detail, fluidity in sonic slow motion. Focus on a single water molecule and follow it's journey from precipitation, surface travel, and evaporation. Dane Rousay mirrors the natural turbulence of nature. The journey of an H2O molecule is just an example. 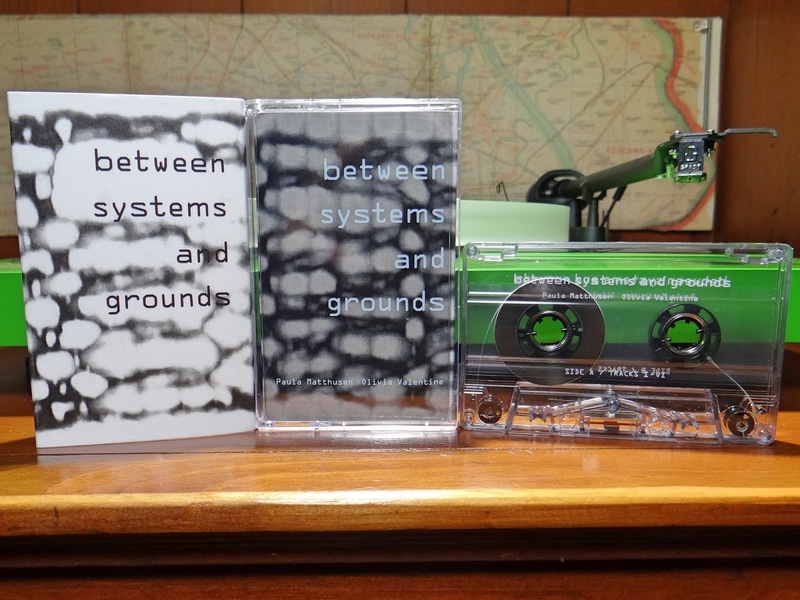 Sounds all around us perform symphonies in crumbling cosmic arrangements. A rock slide, thunder, bubbling spring, there are an infinite amount of different processes. 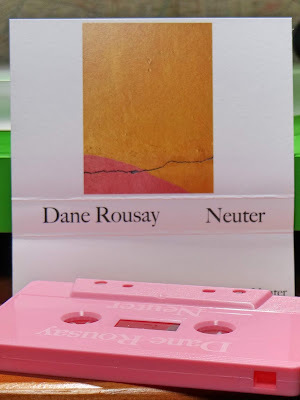 Taking what is not often possible to be heard or understood, pulling forth an audible experience, this is Dane Rousay's Neuter. Interesting in the sense of the special ability to hot tap part of the consciousness all things are connected by. Questions form on how to categorize Dane's sound. Most would think a push towards the opposite end of the spectrum music to noise, harmony to cacophony. Neuter eludes this generality for those who take time to listen and listen again. A true connection between physical presence and spiritual consciousness. Audibly showing listeners a fractal of something yet to be understood. 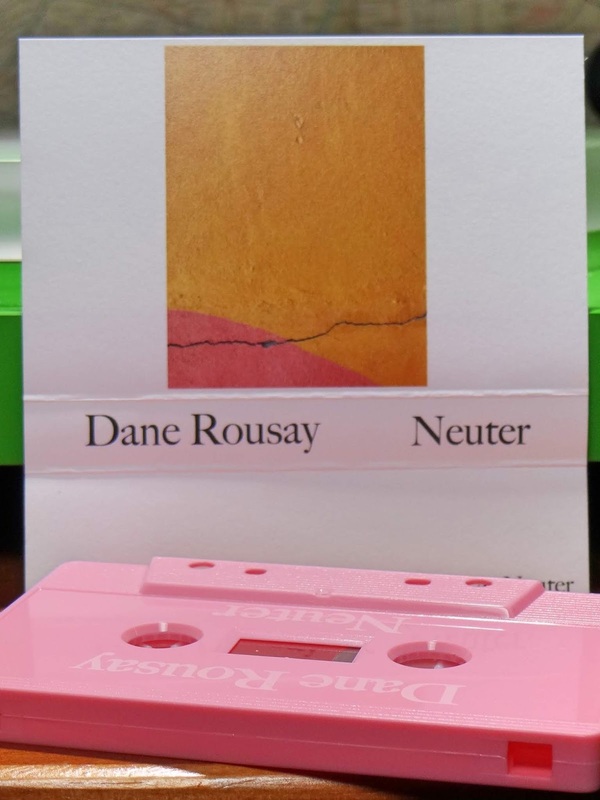 Released by Dane Rousay on limited edition cassette in November. 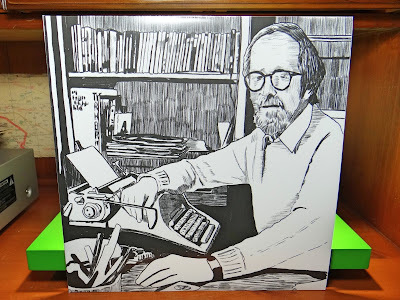 Copies are currently available on his bandcamp page. Standing on the edge, body too close, feelings of security are a few feet back. This is the only position though, far enough over to hear the rumblings from the depths below. A geological orifice connecting the surface to the black unknown. An easy visualization, think of H.G. Wells' The Time Traveller peering over the rim of an entry in to the Morlock's subterranean world. Sonic aberrations welling up from indeterminable distances. Is YMDSIH a future race built around consumption of the remaining human populace? 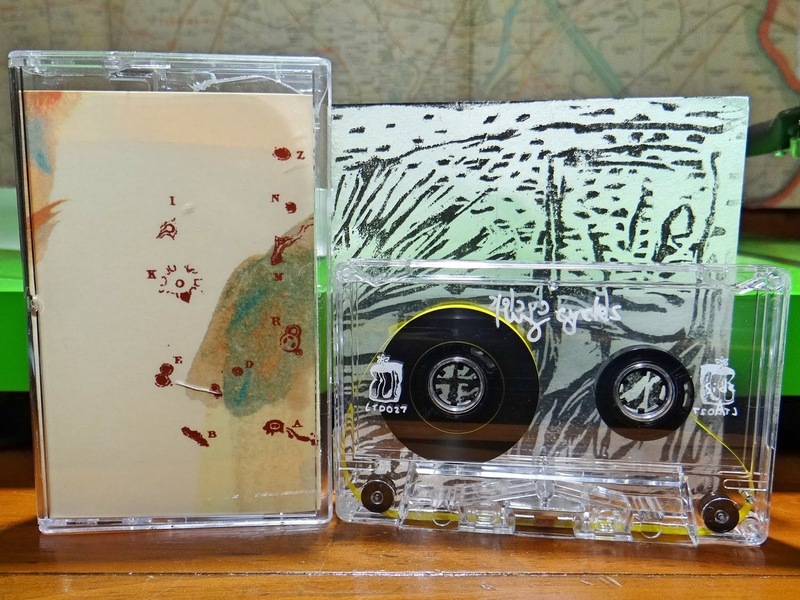 Or are these lengthy aural passages from beyond this earth and completely alien? 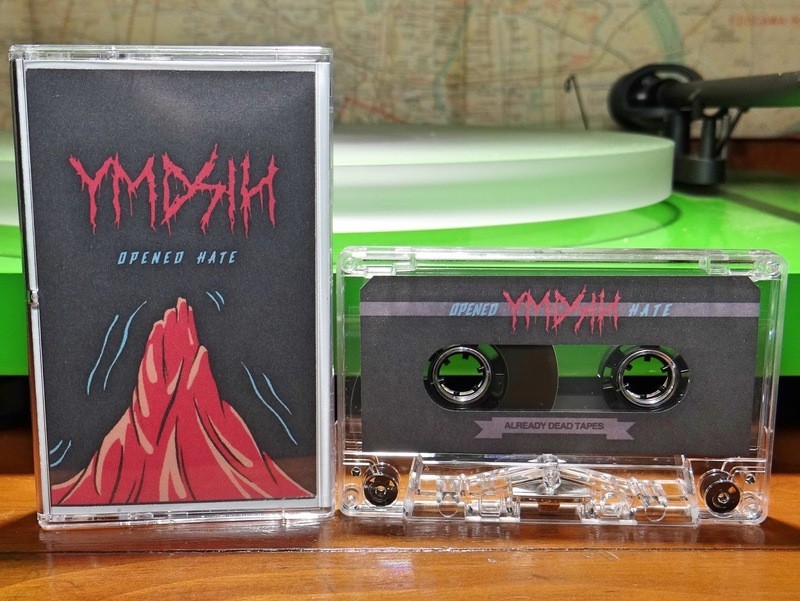 Opened Hate is the title of this engrossing darkly shaded drone amalgam of Jake Watkins and Josh Tabbia. 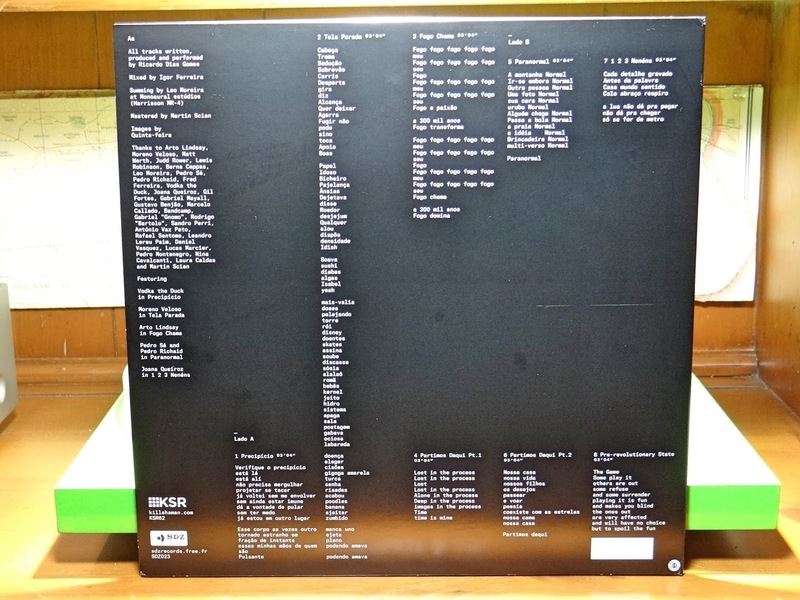 Ten tracks split across roughly forty minutes, with song titles mirroring these whirring tones. Amazingly the entire album was recorded live in one outing. When channeling these remote dimensions, the affinity for both points of prescience is well understood. Jake and Josh clearly reconstruct this Stygian sonic landscape. Pressing play like paying one coin to Charon, experience the divide as reality morphs with each stroke of the oar. The second to last track, Legacy of Nothing signifies the true point of culmination of this experience. Unfathomable mutterings stripped away leaving the consciousness to drift on its own accord. These measures remain intact slight through the last track, Northern Death, then the low decibel vibrancy returns again. 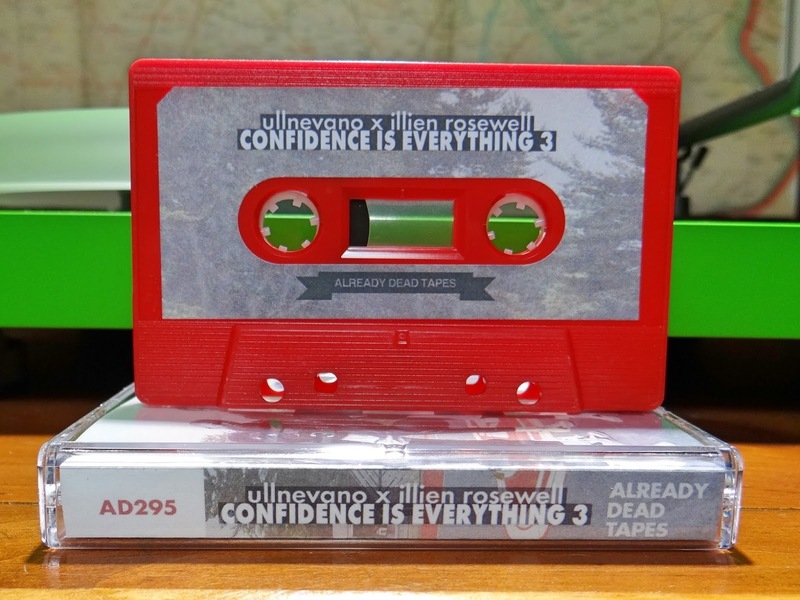 Released in cassette form on Already Dead Tapes and Records in mid November. In an edition of one hundred with copies currently available. 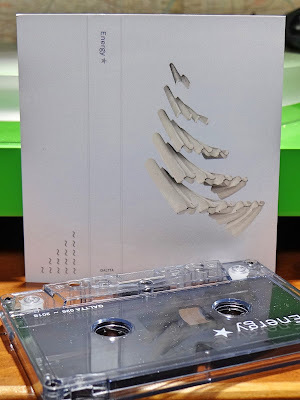 A great return to drone for the label, if YMDSIH can compose and record all of this in one live session, future releases should definitely be in store. L. Eugene Methe and Megan Siebe are tumbling thoughts again. These peripheral words struggle in descriptive efforts. Beautiful sounds from lonely places, gently echoing from everyday life. Touches of classical tones fused then dismantled. This sonic world is a paradox of perfect form and twisted inclinations. Subtle strings playing lullabies for slumber and opening passages for nightmares. Liturgical ambiance superbly characteristic of centuries past in ebb and flow with distorted artistry of neoteric sound manipulation. When creativity and talent reach a rolling boil then are left to smoothly simmer, Archive Spinoffs permeate the air. CITIZEN ELECTRICAL works in the ambit of harmonious elegance. There is a passage in Edgar Allan Poe's A Descent Into The Maelstrom that resonates when listening then trying to describe Archive Spinoffs. "The ordinary accounts of this vortex had by no means prepared me for what I saw. That of Jonas Ramus, which is perhaps the most circumstantial of any, cannot impart the faintest conception either of the magnificence, or of the horror of the scene --or of the wild bewildering sense of the novel which confounds the beholder. I am not sure from what point of view the writer in question surveyed it, nor at what time; but it could neither have been from the summit of Helseggen, nor during a storm. There are some passages of his description, nevertheless, which may be quoted for their details, although their effect is exceedingly feeble in conveying an impression of the spectacle." The words here are like those of Jonas Ramus, feeble in conveying the sounds of CITIZEN ELECTRICAL, but maybe a few details might be usable. The facts are this is a very limited vinyl release, an edition of only one hundred. Six tracks denoted by run times for titles. The total is just over forty minutes. Lonnie and Megan have worked together before on different occasions . Recently a really beautiful tape on eh? Records titles Revisted, Revisted, Revisted. 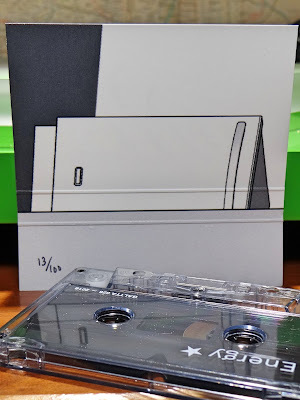 This cassette has similar tonal qualities to Archive Spinoffs, but rest one notch above the repressed grandeur of the newer vinyl. Both are excellent and worth exploration. Released on Omaha, Nebraska' Gertrude Tapes label. 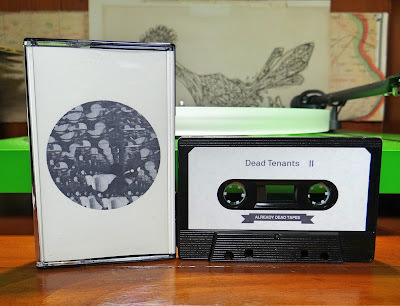 There is a lot of excellent music to listen to on the labels bandcamp page. 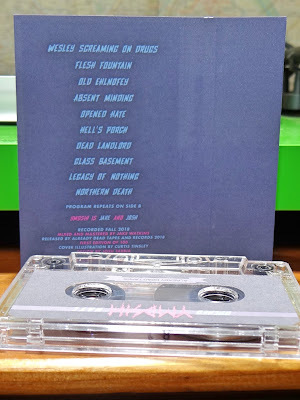 Many of the releases are available in physical form. 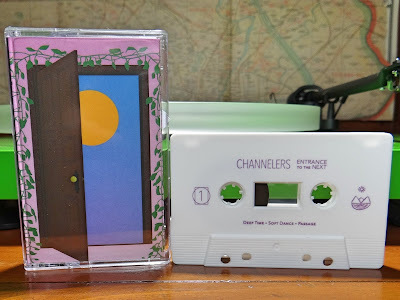 The connection these artists make to other projects and labels is a spiders web of typing and clicking. Label Gertrude Tapes, Public Eyesore / eh? Rhythms shadowed in decaying genres, sparse sounds barely illuminated by radiant creativity. Like motionless snakes heating on sun drenched surfaces, slithering away when sensing presence. Aa lays still, a resting body in tranquilized stasis. Consciousness tuning in, patient sonic muscles begin constriction. Ricardo Dias Gomes waits.... his composition heated perfectly. Common aural ingredients applied with intuition rather than recipe. 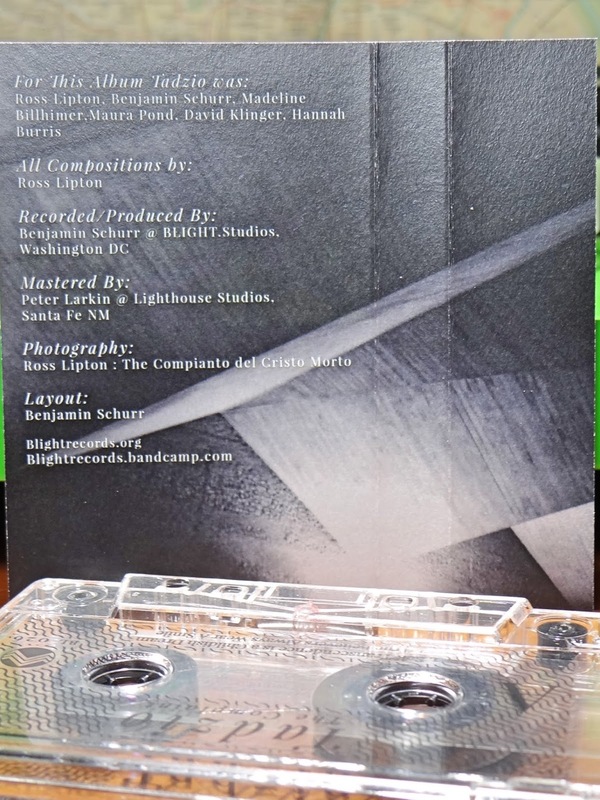 Eight tracks in a relatively short amount of time, close to twenty minutes. 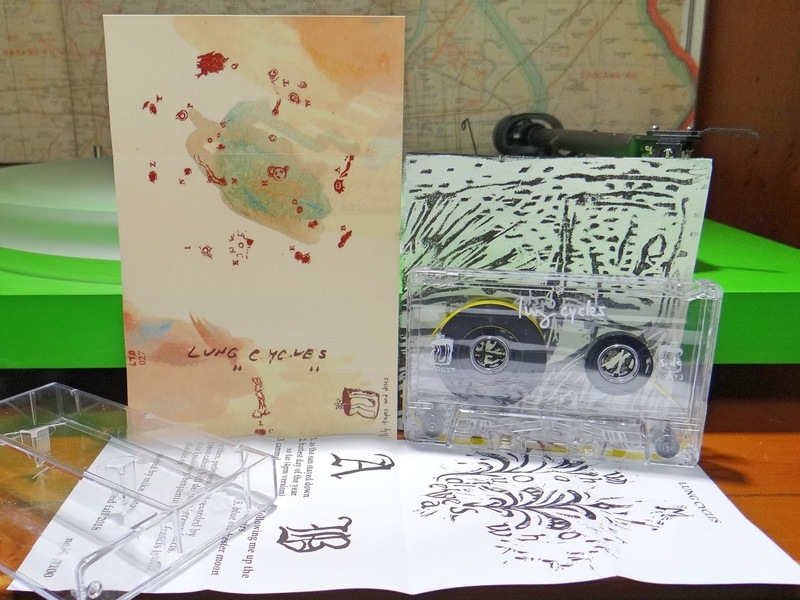 Ricardo Dias Gomes features six guests artist on Aa. This influence ultimately nudges diversity into the composition. Using distant decades to lasso Aa with some comparative measure, an amalgamate of Cabaret Voltaire and Sleep Chamber. A rhythmic seriousness bringing a maze of catacombs to the spirit. 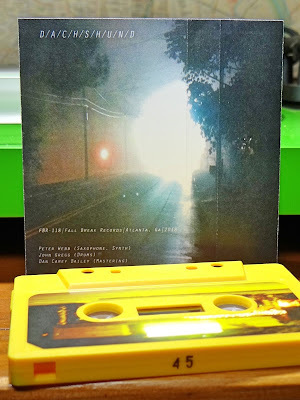 Paths splintered by pressing vocals, disorienting bass and electronic shrapnel. 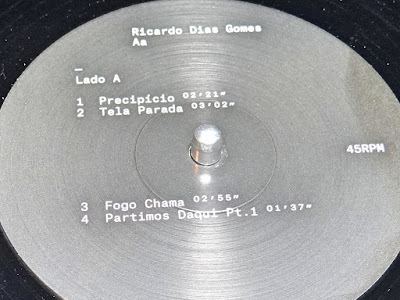 Heaviness balanced by the third track Fogo Chama and the seventh track 1 2 3 Nenéns. Warm and gentle respites in the pulse like suspenseful cadence of the other tracks. 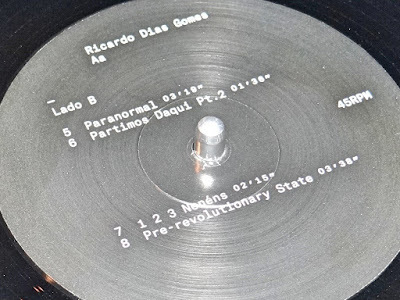 Ricardo Dias Gomes treats details like sonic gemstones, the dark crystalline notes painstakingly kept polished. This aspect is unique, since ponderous tones often sway towards distortion. Very little if any on Aa, making this composition an easy listen, again and again. 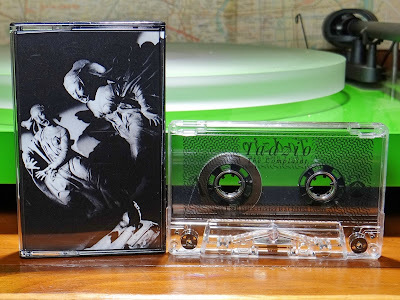 Released on split labels, one of Oakland's most well regarded labels, Kill Shaman Records and the long running SDZ Records from Paris. Aa is in a limited run of five hundred copies and arrived in September of this year. Tadzio skirts modern genres and experimental avenues, producing melodies of classical origin. The values rooted in tangible instruments played by a sextet of musicians. This composition plays like a parabolic curve, welcoming tones diving into disquieted chapters and returning fully rejuvenated. 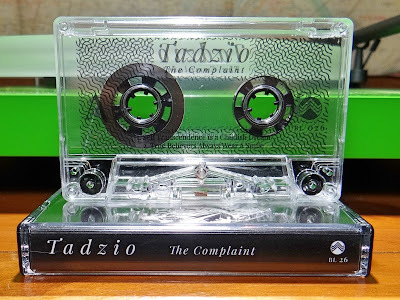 The Complaint is filled with sonic prisms, reflecting the feeling of well being with distant questions and introspection. The cassette is relatively short with four tracks in approximately twenty minutes. The amount of creativity, easily exceeds these physical limits. As mentioned there are six artists at work, Ross Lipton, Benjamin Schurr, Madeline Billhimer, Maura Pond, David Klinger, and Hannah Burris. The connection to the instruments they use is not noted. The Complaint is easily compared to a short story. An aural attenuation absorbed in the consciousness with just enough groundwork to establish a foundation. Emotional strength is then passed to listeners, never heavy or overbearing, ample tones for thoughts to reflect in subsequent quiet times. The lightest form of broodiness, radiance is still always present. Released on BLIGHT. Records in an edition of one hundred. The Complaint came out at the end of October, copies are available. 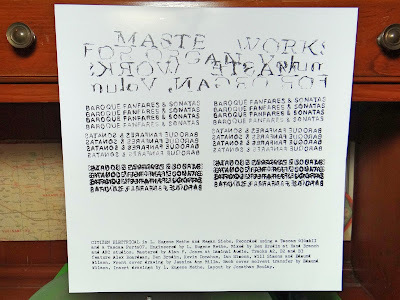 Tadzio mentions the artists for this album, meaning preceding works have different line ups. 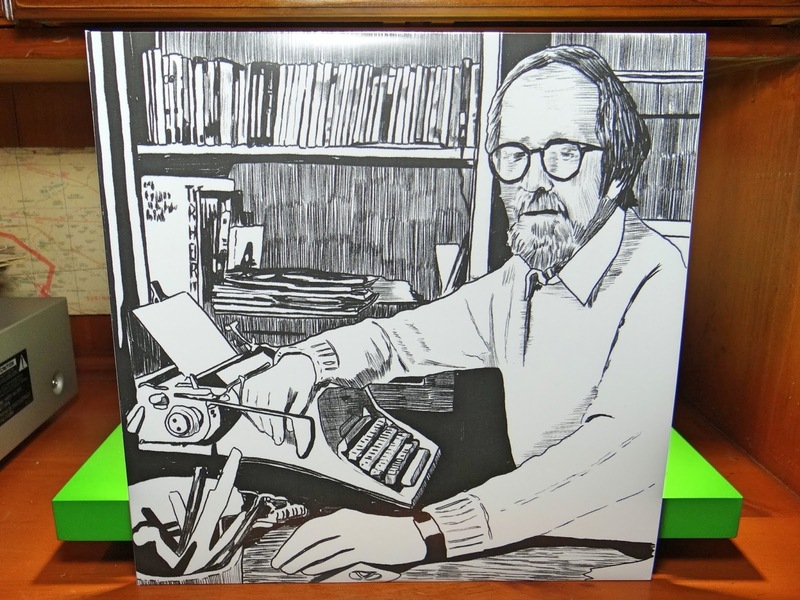 There is a vinyl release from 2013 with Ross Lipton as the composer, this is the same for The Complaint. The only other returning musician is Benjamin Schurr. 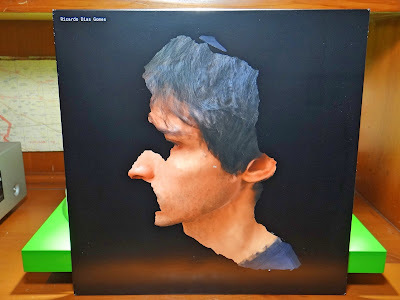 Copies of this vinyl lp are available as well at the Edible Onion label bandcamp page. In the recesses of the night, where artificial glow of modern civilization is defeated by darkness, Energy ☆ is found. 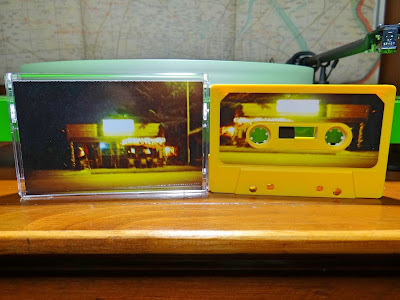 Ambient tranquility constructed from late at night excursions into the city. Rhythms and beats gathered from the din of vibrant venues exceeding curfews of closing times. These sounds have been transcribed, sinking into the woods and groves dotting secluded islands around the globe. What once was cold angles of concrete and steel, is now fine sand and rustic bamboo. A connection still exists, only the new direction feels fantastically more radiant. There is an organic quality to Energy ☆. Either African or Polynesian, something tribal swelling up and steaming from the surface. 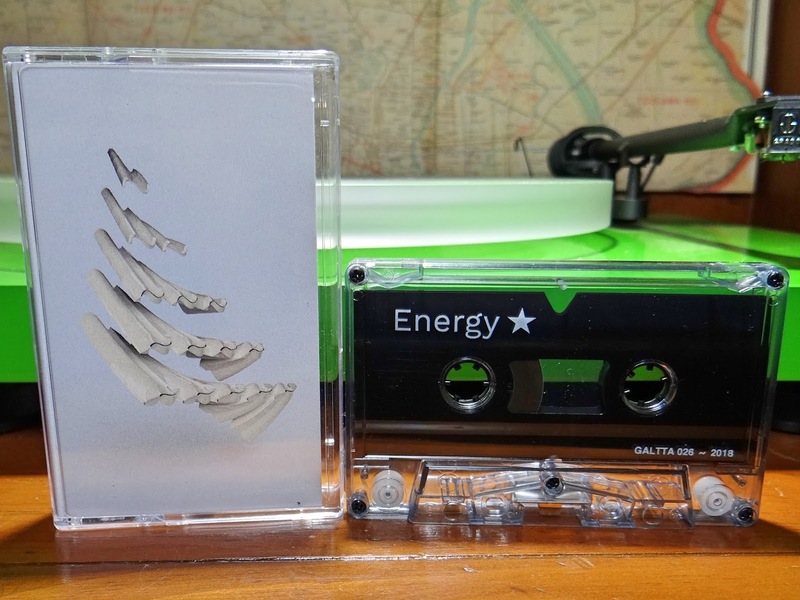 Five tracks in just over forty minutes allow listeners to absorb this subtle feeling. The skillfulness which translates to beauty is simply, "nothing overdone". The two artists forming this project, Camilla Padgitt-Coles and Bryce Hackford have great experience and have applied perfectly pleasant amount of patience. So much at times, these sounds slip into the graceful drone realm. This attribute is well represented by track four, the longest of these compositions. These sounds are like cuneiform inscriptions over an EDM genre, past or future a perspective determined by each listener. 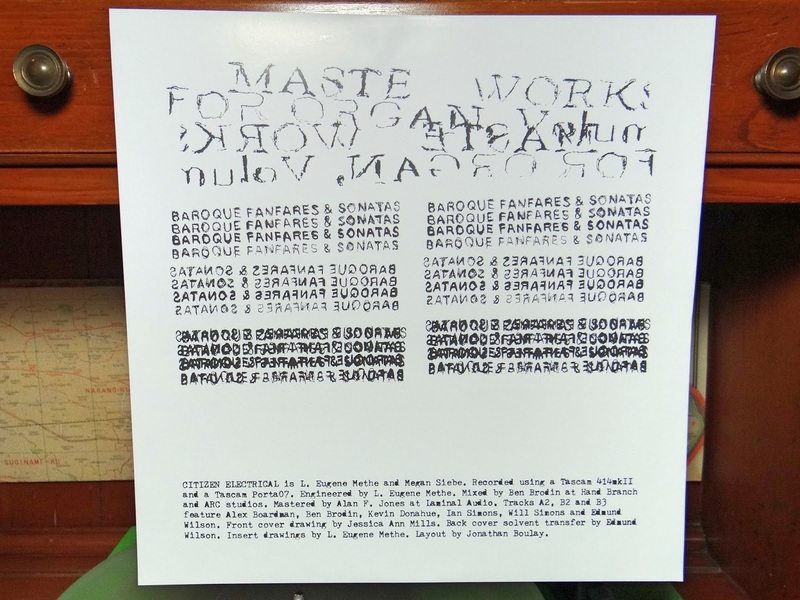 Released on the Brooklyn label GALTTA in the first few days of November. This cassette is in an edition of one hundred with copies currently available. 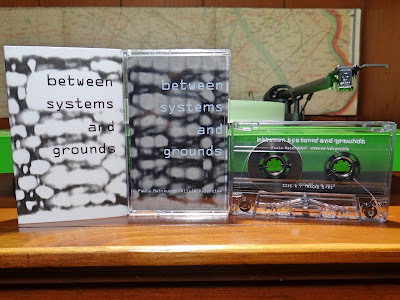 Bryce Hackford has more releases to explore here. Camilla Padgitt-Coles with a project called Ivy Meadows here. 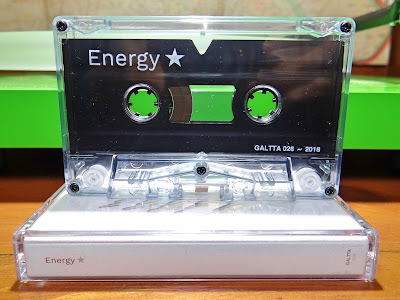 GALLTA has also pushed out two more recent releases (cassette and vinyl) that should be checked out as well. 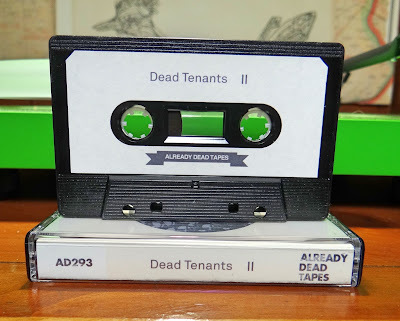 The alarm is sounding, run with all the speed, Dead Tenants are in the ears. The ground vibrates in controlled pulse like signals, a stampede harnessed by algorithmic rustlers. 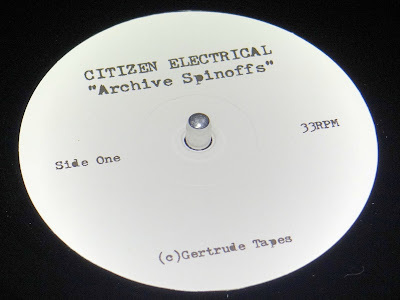 These sonic fibers run deep, like roots that Touch and Go across the pond in search of Entertainment! New sounds grow in angles, there are no gentle curves or natural bends. 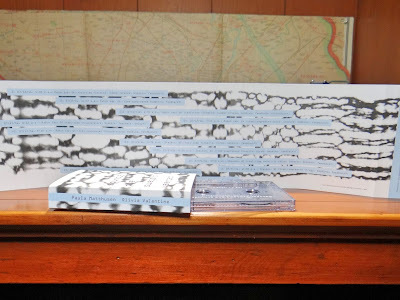 LPII is a sonic wiring manual, heads will spin with the weighty amount of details waiting to be deciphered. The sonic triangle formed by guitar, bass and drums, is a punk pentagram with two points thrown out. Consciousnesses held in place with instruments in perfectly attenuated high decibels balance. The vocals fill the mind then release, a yo-yo in rhythmic motion, your head is walking the dog. 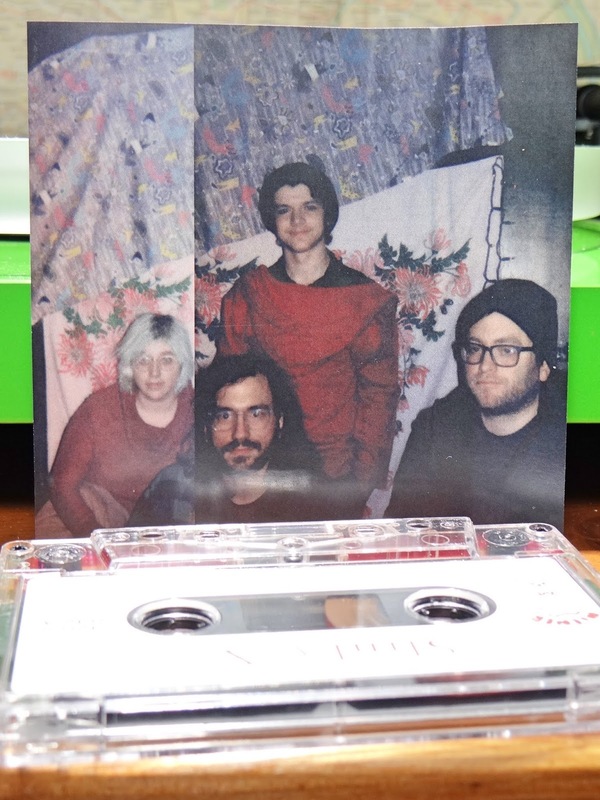 LPII is expertly lacquered, the clarity and fervor of these three musicians never ceasing. Together these sounds so tightly woven, creating a moire effect on the listening end. To properly absorb Dead Tenants, listeners must be engaged. Any attempt to casually peruse these sounds from the wrong angle, will result in just being spit out. 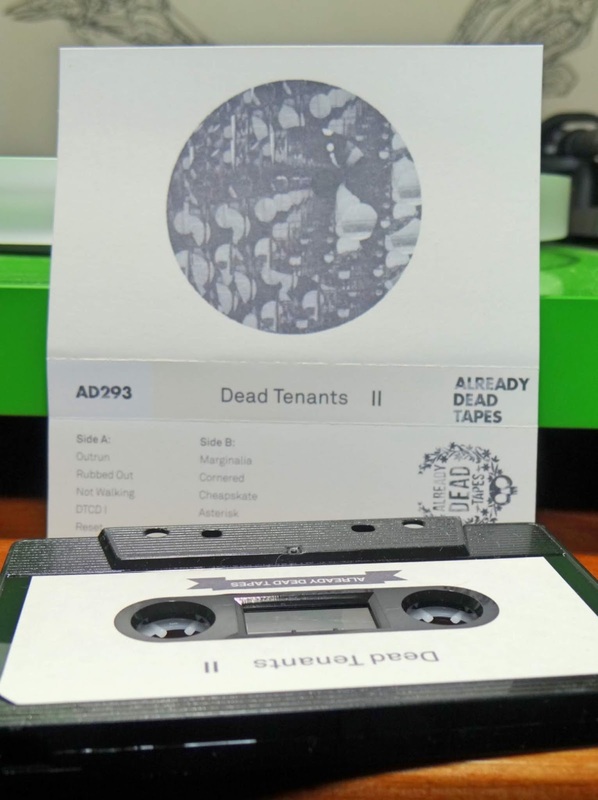 Released on Already Dead Tapes and Records in October. 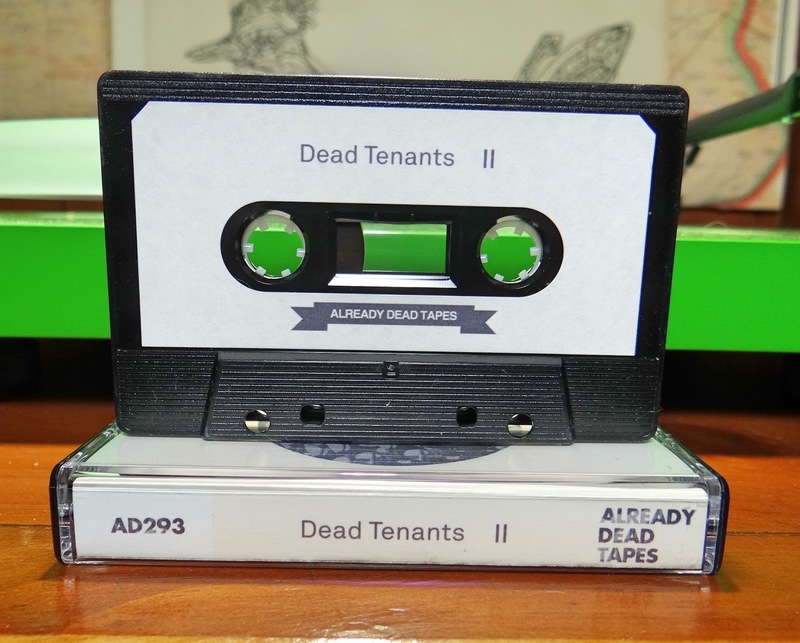 Dead Tenants are making fast tracks with only fourteen releases remaining from the start of one hundred. This is the third release for the band, with the first titled "Void" in digital form. 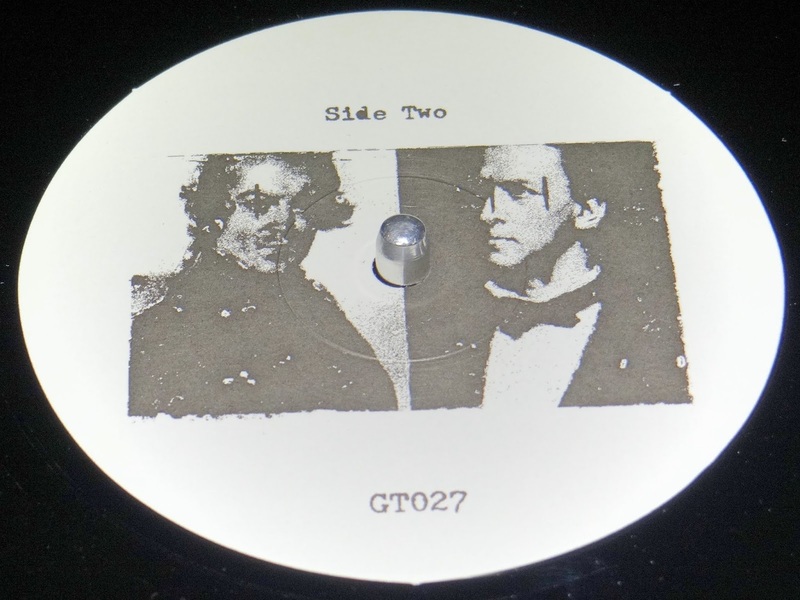 The second release is a split on Austin's Super Secret Records and is still available from the label. With the discography research done, this makes LPII the first solo physical release. Well deserving and nicely fit with Already Dead.